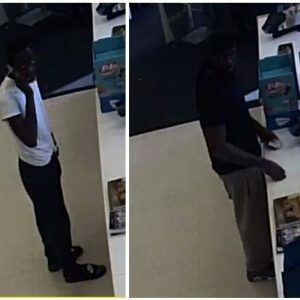 Durham CrimeStoppers needs your help in identifying the suspects in the below images. 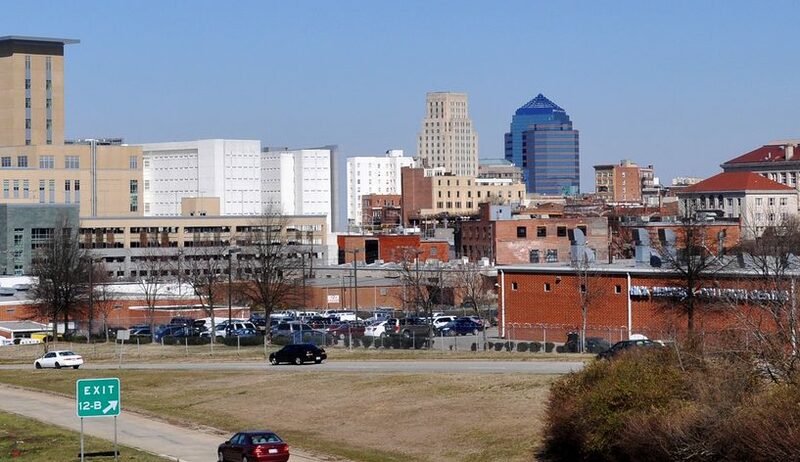 Contact CrimeStoppers at 919-683-1200 with the person’s name and you could qualify for a reward. Callers will need to provide the case number below the image they are identifying. CASH rewards are paid for information leading to felony charges/arrests. 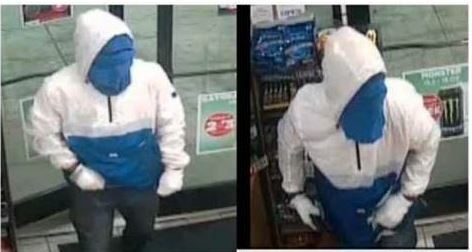 Investigators with the robbery unit are attempting to identify this suspect who is alleged to have committed an armed robbery in the 2500 block of Guess Rd. He is believed to have shoulder length dreadlocks. He was seen getting into a silver or gray 4-door car with tinted windows. 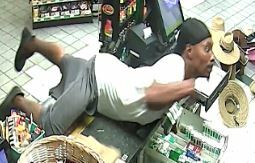 Robbery investigators are attempting to identify this suspect who is alleged to have committed an armed robbery. The suspect is believed to have been associated with a blue 4-door car that was missing the left rear wheel cover. 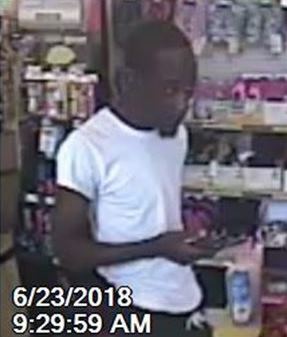 District 3 investigators are attempting to identify this suspect in a credit card fraud case. 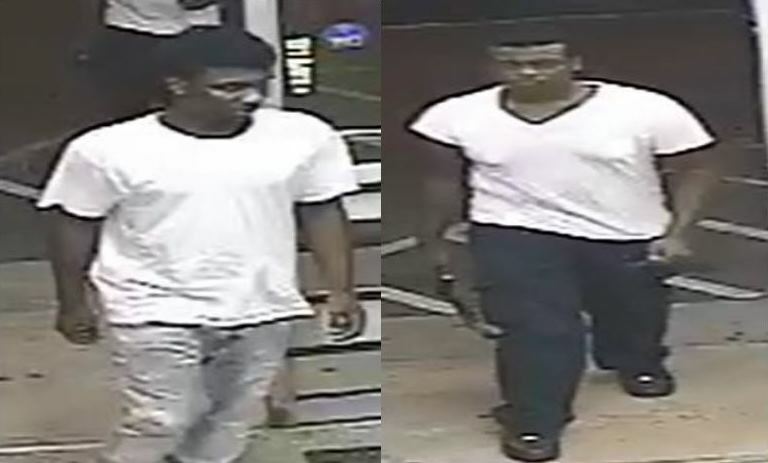 District 3 investigators are attempting to identify this suspect in connection with a B&E at the BP Station on Durham Chapel Hill Blvd. The robbery unit is attempting to identify this suspect in a robbery of the Circle K on NC54. 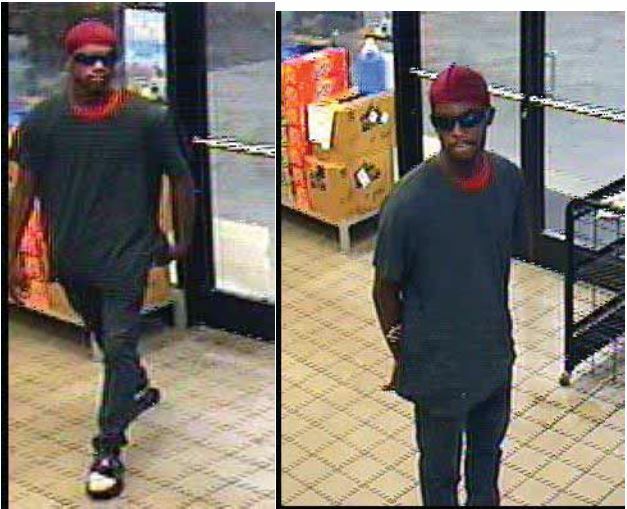 The financial crimes unit is attempting to identify this individual regarding the use of a stolen credit card. 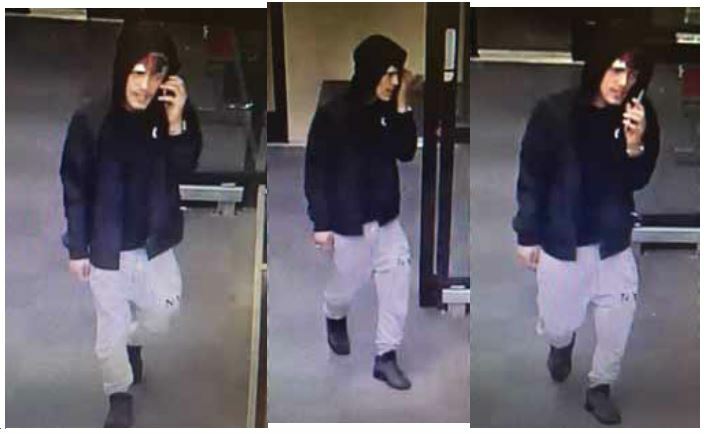 District 2 Investigators are attempting to identify the individual seen below reference a larceny from a motor vehicle and subsequent credit card fraud. 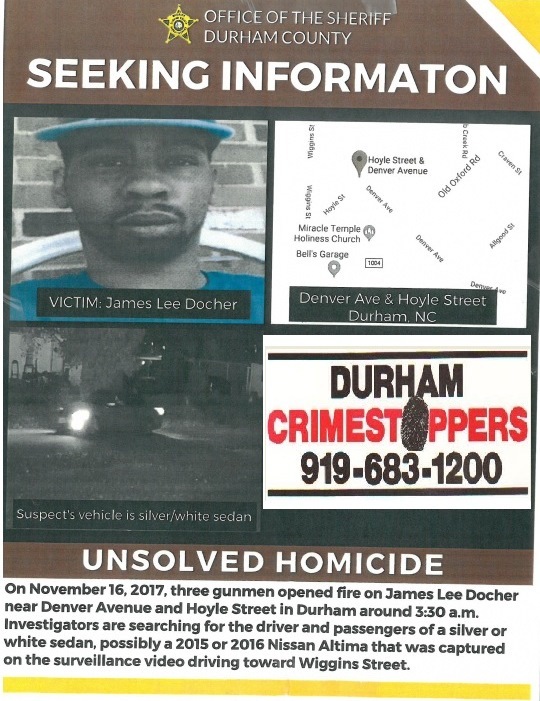 On November 16, 2017 at around 03:30 A.M. three gunmen opened fire on James Lee Docher near Denver Ave @ Hoyle St in Durham, NC. Investigators are searching for the suspects who were in a silver or white sedan. The sedan is thought to be a 2015 or 2016 Nissan Altima that can be seen driving toward Wiggins St in the surveillance image. 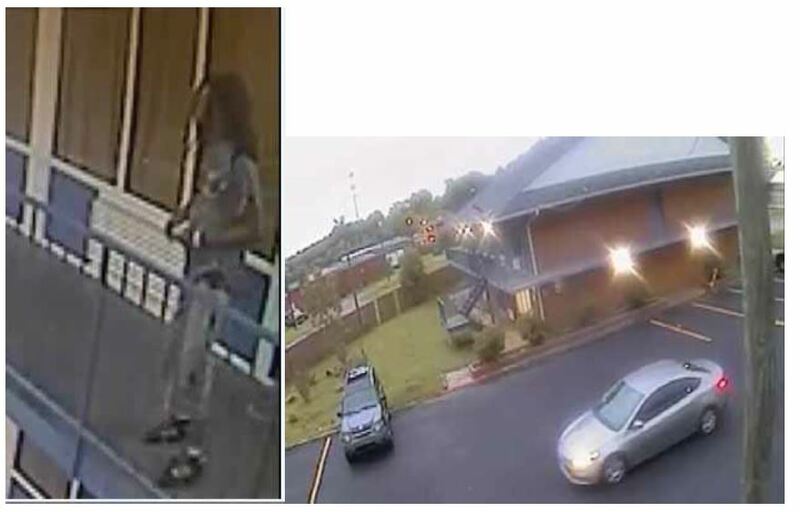 If you have any information on this case, please, contact CrimeStoppers at 919-683-1200. 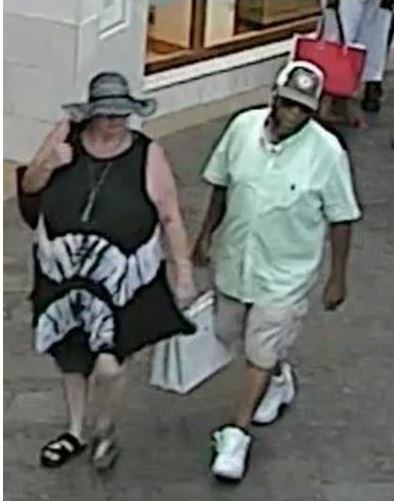 Duke Police investigators are attempting to identify these suspects in a credit card fraud case. 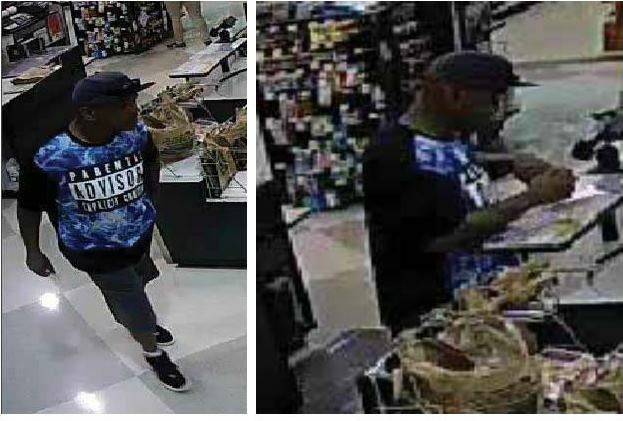 Investigators are attempting to identify this suspect in a larceny from motor vehicle and subsequent credit card fraud case. 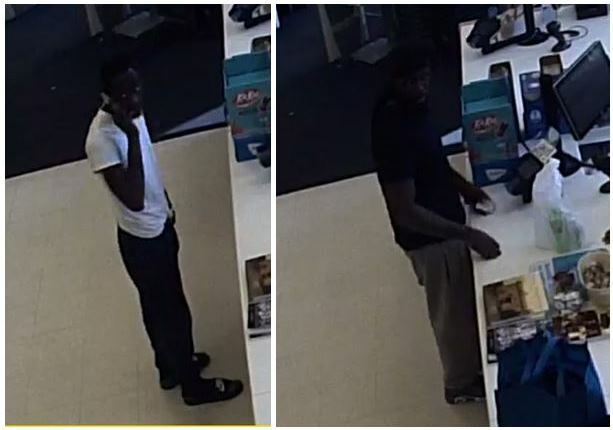 The robbery task force is attempting to identify these suspects regarding a recovered stolen vehicle that was taken in a car jacking. The car was wrecked outside the Trinity Food Mart. 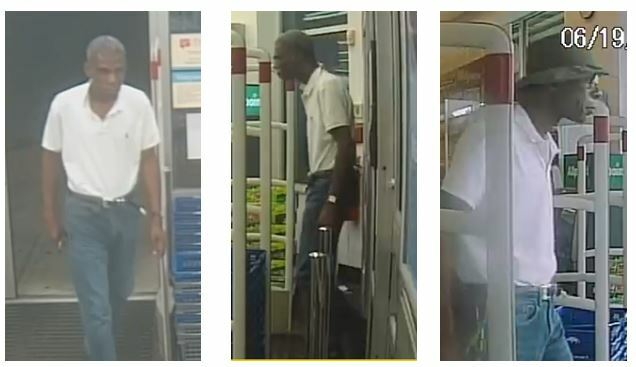 District 3 investigators are attempting to identify this suspect in regards to the theft and use of a credit card.